On the night of February 26, 2012 one 17-year-old African American high school student, Trayvon Martin was fatally shot by a member of the neighborhood watch George Zimmerman in Sanford, Florida. On July 13, 2013, Zimmerman was found not guilty by a jury on the grounds of self-defense. That’s the two-line synopsis; but beneath lies layer upon layer of moral, social, legal and human questions. The Trayvon Martin trail was not supposed to happen. Police arrived within 2 minutes of the gunshot, following an earlier call from Zimmerman, and Martin was declared dead within 15 minutes. Zimmerman was treated for bloody wounds, questioned for 5 hours and had his sidearm impounded, but he was released as a case of self-defense. The trail only took place because of continual public outrage for a month following the shooting, which left the Florida police with no choice but to arrest Zimmerman. But was Zimmerman ever tried? I think not. I think it was a trail of Trayvon Martin – his background, hoodie and skin color taking the focus. But then again maybe our society has put him on trial all his life; so why not after his death? 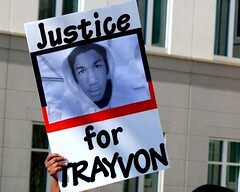 The fact is: Trayvon Martin is dead, and the man who killed him walks free. The verdict in the Trayvon Martin case exemplifies the rising racism in the United States. The roots of this racism lies within systematic social and economic discrimination. “The American Dream” is a thing of the books as social mobility has stalled and the gap between the classes has widened. The recession has been a double-edged sword for minorities in the US, who have been long denied a fair shot – not only have they been hit the hardest economically, but racial barriers have also increased. Trayvon Martin is just an allegory for society’s perception of the black teenager – out of school, in and out of prison, up to no good, a seemingly disposable element of our community. Justice is blind, so as they say. It forgot to try the main culprit, and made a criminal of an innocent young man. When this society allows for the unpunished murder on perception of a citizen, it is our societal values that must stand on trial. 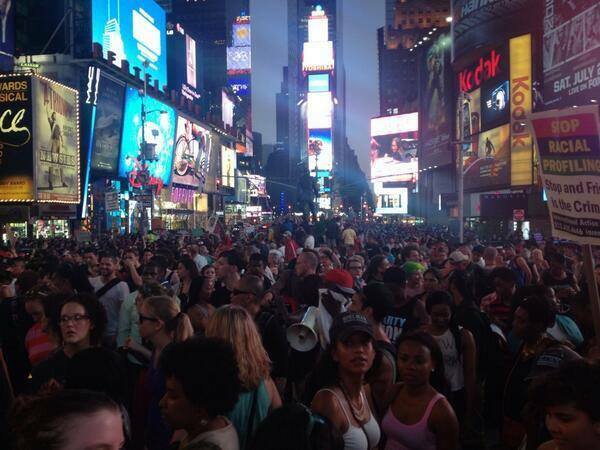 Trayvon is not alone. According to Rev. Jesse Jackson, “There is a Trayvon in every town”. Our perceptions and biases have relegated young black men as something to be feared. We need to look beyond the evidence to the environment that creates such situations; that creates George Zimmermans, and snuffs out Trayvon Martins. Racism exists, and I would argue that it is flourishing. Only last month the Supreme Court invalidated parts of the Voting Rights Acts stating that discrimination against African-Americans is a thing of the past. This comes following numerous reports of discrimination against blacks at the polling booth. Exit Jim Crow, enter voter ID laws. The Trayvon Martin trial has only brought this issue to the surface. Many will riot, many will advocate. But above all, we need to think about our social structure that vilifies and marginalizes minorities. An America that harbors racial and class barriers is a dangerous place for the dreams of an ambitious young individual.